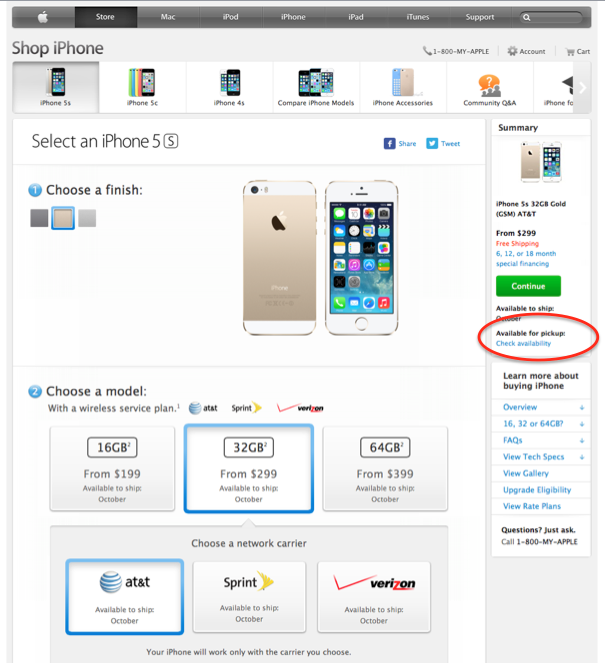 The hard-to-find iPhone 5s now has immediate availability in the online Apple Store if you opt for in-store pickup. You’ll be asked for your zip code to check stores close to you. Let us know in comments if you find immediate availability on the gold ones, whose popularity seems to have taken Apple by surprise.